Florence Nightingale was born in Italy on May 12th, 1820 and was named Florence after her birthplace. Florence developed an interest in the social questions of the day, made visits to the homes of the sick in the local villages and began to investigate hospitals and nursing. Her parents refused to allow her to become a nurse as in the mid-nineteenth century it was not considered a suitable profession for a well-educated woman. Florence Nightingale’s greatest achievement was raising nursing to the level of a respectable profession for women. In 1860, with the public subscriptions of the Nightingale Fund, she established the Nightingale Training School for nurses at St Thomas’ Hospital in England. 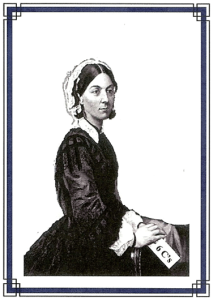 In 1860 Florence Nightingale’s best-known work, “Notes on Nursing”(1859), was published. It laid down the principles of nursing: careful observation and sensitivity to the patient’s needs. “Notes on Nursing” has been translated into eleven foreign languages and is still in print today. Florence Nightingale’s writings on hospital planning and organization had a profound effect in England and across the world. Florence Nightingale’s visionary reforms have influenced the nature of modern health care and her writings continue to be a resource for nurses, health managers, and planners. Learn more about Health Care Aide Training.